New Make & Take ladies! 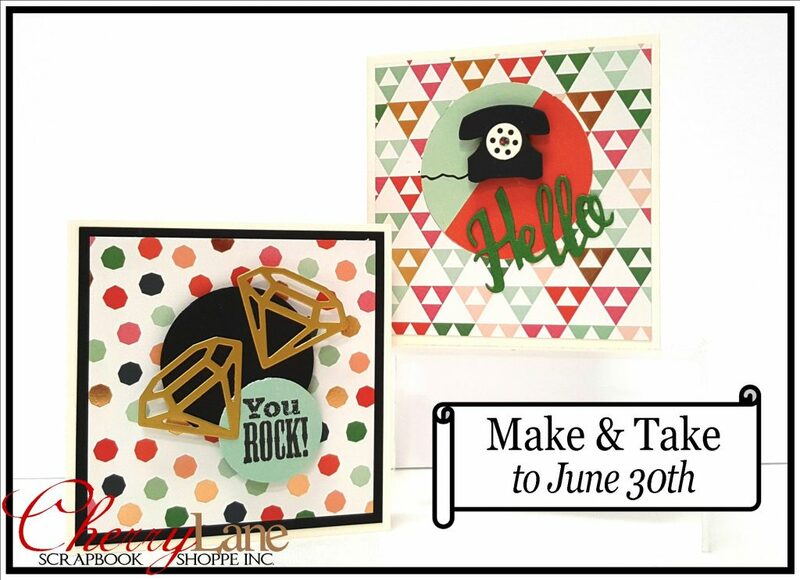 Designed by Rebecca, these super cute cards are just plain ‘ol FUN! These cards run through to June 30th, drop in anytime Sunday to Thursday. Make as many cards as you like for $3 each, we prep the cards, you get to do all the fun stuff like stamping, embossing & diecutting! New Make & Take ladies! One feminine and one masculine…super cute! These cards run through to May 31st, drop in anytime Sunday to Thursday. Make as many cards as you like for $3 each, we prep the cards, you get to do all the fun stuff like stamping, embossing & diecutting! 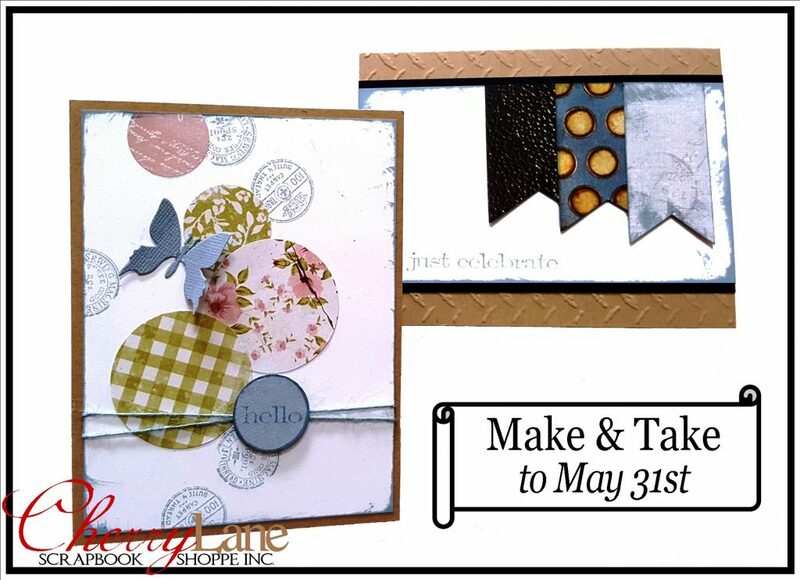 New Make & Take ladies! 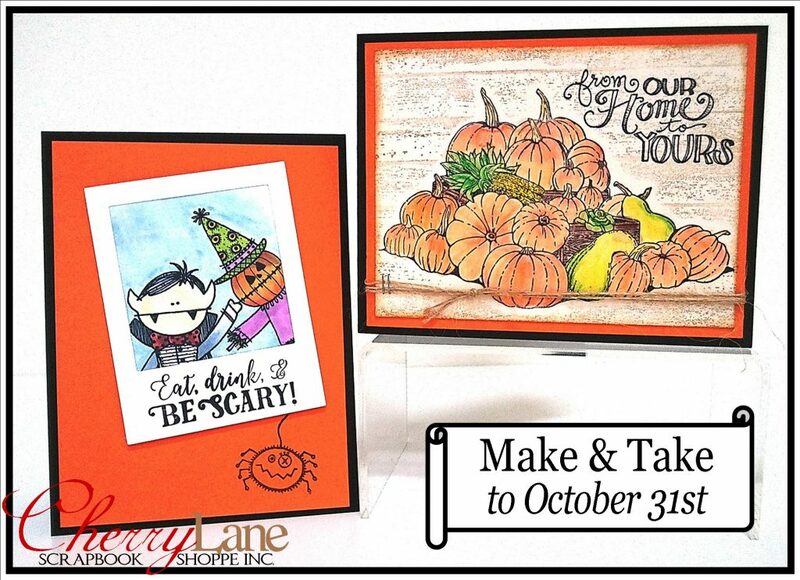 One Halloween themed & one Fall or Thanksgiving themed…super cute! These cards run through to October 31st, drop in anytime Sunday to Thursday. Make as many cards as you like for $3 each, we prep the cards, you get to do all the fun stuff like stamping, colouring & diecutting! Come & Celebrate World Card Making Day! Join us in the shoppe Saturday October 1st as we kick off the holiday card making season with a day of festivities! Cherry Lane Photo Booth Fun! Sweet Treats Ah-mazing cupcakes by Donna! Door Prizes! Lots of fantastic goodies & lots of ways to enter! Author AdministratorPosted on September 7, 2016 September 7, 2016 Categories Fun Stuff, Make & Take, Sales & PromotionsTags World Card Making Day1 Comment on Come & Celebrate World Card Making Day! New Make & Take ladies! 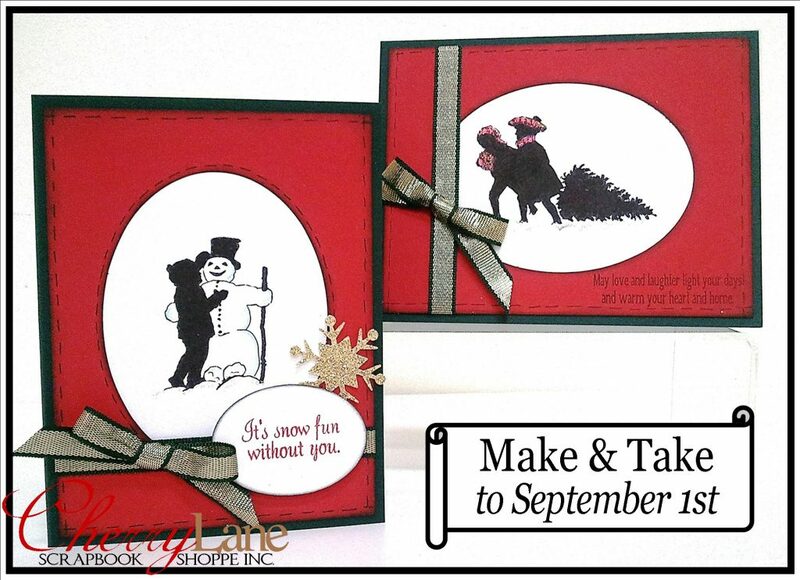 These new silhouette stamps are from Impression Obsession and are just so easy and versatile for your Christmas cards! These cards run through to September 1st, drop in anytime Sunday to Thursday. Make as many cards as you like for $3 each, we prep the cards, you get to do all the fun stuff like stamping & diecutting!